But the idea that America is politically polarized isn’t new. Last month marked the 160th anniversary of Abraham Lincoln’s “House Divided” speech, one of the most important addresses in U.S. history. Lincoln delivered it on June 16, 1858, to accept the Illinois Republican nomination for Senate. The speech marked his entrance into national politics at a time when the nation was profoundly at odds over slavery. On the occasion of its 160th anniversary, Lincoln’s speech offers timely lessons about the costs of deep-seated political polarization. My research examines how communities remember — and sometimes fail to remember — the lessons of the past. Lincoln’s description of the Union as a house divided is well-remembered today. But many Americans fail to heed its deeper lessons about equality and the moral foundations of popular government. To cite the language of journalist Bill Bishop’s best-seller, “ The Big Sort,” Americans have sorted themselves into distinct, homogeneous groups. In his “House Divided” speech, Lincoln addressed a nation even more fiercely divided by partisan acrimony, regional differences and economic tensions than the U.S. of today. The alternative to bitter polarization that Lincoln offered didn’t prevent the Civil War. But it shaped postwar understanding of the territorial, political and even armed conflicts that led to it and the lessons to be learned from it. Above all, Lincoln stressed in his speech that “a crisis” over slavery was imminent. He asked Americans to choose the common purpose that would best serve their Union — a government of all free or all slave states — before the crisis chose for them. Lincoln developed the idea that the Union is exceptional in public statements from 1858 until the end of the Civil War. In his First Inaugural in 1861, Lincoln called the Union “perpetual,” and “much older than the Constitution … [N]o State upon its own mere motion can lawfully get out of the Union.” For years, Lincoln held that Americans belong to the Union before they belong to political parties. His reasoning purposefully echoed George Washington’s Farewell Address of 1796, which warned Americans that “the spirit of party” is a prime threat to “Union … a main prop of your liberty.” For Lincoln, Americans’ common identification with the guiding ideal of equality should transcend their affiliations with political parties. Building and maintaining a house is familial and collaborative. Family conflicts are inevitable; households fall apart if families don’t resolve those conflicts. The metaphor of a house emphasizes interdependence, cooperation and shared purpose. It asks how citizens might build and maintain something together, despite natural differences, rather than live and work separately. These ideas have been lost in social and political debates today, which are dominated by competing party agendas and talk of irreconcilable “red” and “blue” state mentalities. Lincoln’s central warning — “A house divided against itself cannot stand” — was rich in moral significance. A house should rest on a firm physical foundation for the safety of the family who lives in it. The Union, Lincoln implied, should rest on a firm moral foundation: a bedrock dedication to equality. The Union, he believed, cannot be a compact of convenience or a loose-knit confederation. It was founded for a clear moral purpose: to extend conditions of equality to as many people as possible. The “new nation” that “our fathers brought forth” in 1776, Lincoln would say most memorably in his 1863 Gettysburg Address, was “dedicated to the proposition that all men are created equal.” Commitment to the principle of equality was an essential, not optional, basis of membership within. Bipartisan compromise sounds good — but it can erode fundamental commitments to equality. By 1858, the U.S. had witnessed decades’ worth of political compromises over slavery: the Missouri Compromise of 1820, the Compromise of 1850 and the Kansas-Nebraska Act of 1854. All of these measures maintained the institution of slavery while purporting to limit it. 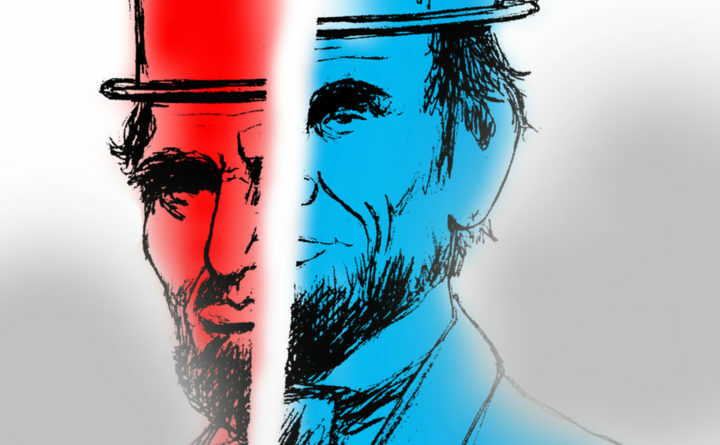 On its 160th anniversary, I believe Lincoln’s “House Divided” speech offers alternative ways to imagine the nation than as a patchwork of “red” and “blue” states. Americans belong to a union first, parties second. Party machinery and false political prophets divide the house of the people; the people have the power to stabilize that house if they choose to do so. The union was founded on a dedication to equality. It retains a firm moral foundation by preserving commitments to principles of equality over region or party. The primary offense against the principle of equality in Lincoln’s time was slavery. But Americans can apply the logic of his argument to contemporary inequities based on race, employment, gender, voting rights, criminal justice, religion and more. The nation is a house divided, many times over, in all of those cases. Lincoln didn’t claim that perfect equality could be achieved. But he saw broad commitments to the idea of equality as essential to the ongoing work of creating, as the Constitution puts it, a more perfect union — and a freer one for all. The union must “become all one thing, or all the other” in order to be truly free. On this guiding principle, Lincoln declared, there can be no partisan dispute and no bipartisan compromise. Bradford Vivian is a professor of communication arts and sciences and director of the Center for Democratic Deliberation at Pennsylvania State University. This piece was originally published on TheConversation.com.